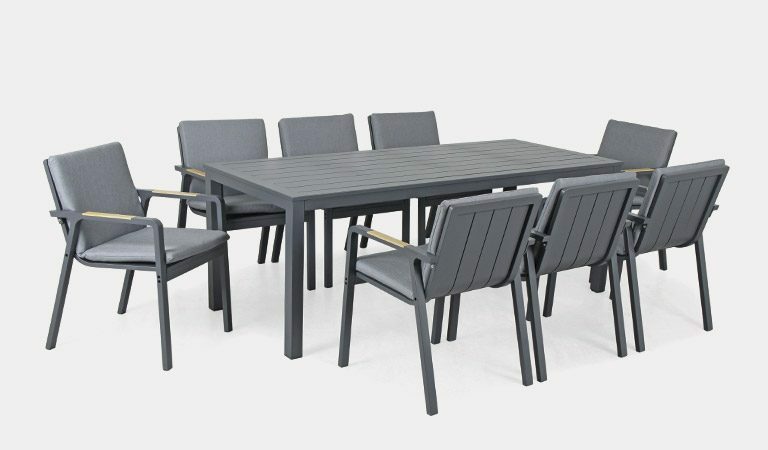 The Surf Collection has a variety of seating and table options for dining to relaxing outdoors while in the garden. 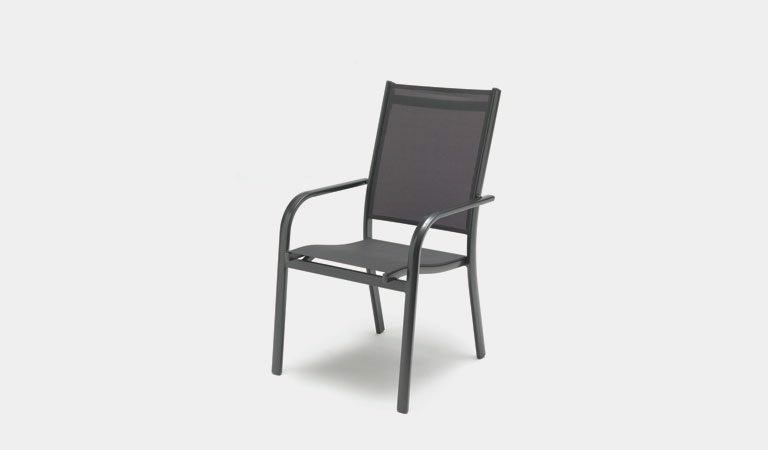 Our Aluminium seating can stay in the garden all year round and comes backed up with our 3-year warranty. 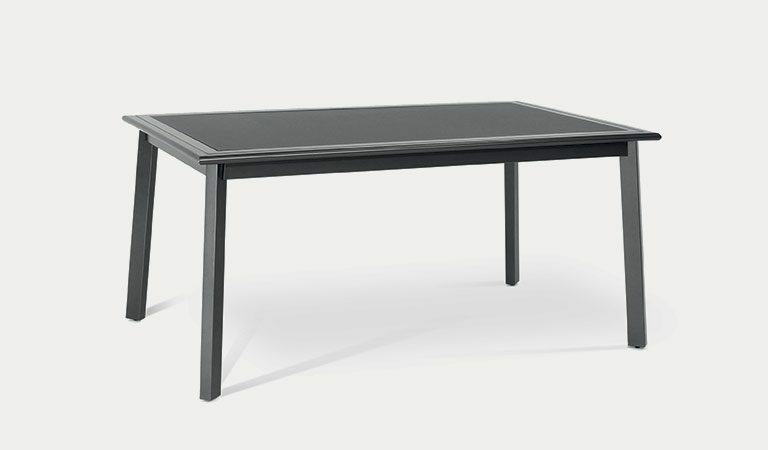 The Surf tables include glass inserts with weatherproof aluminium frames. 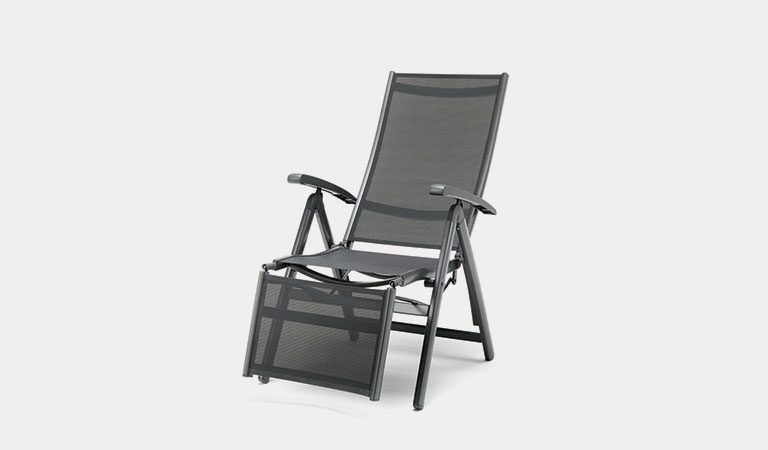 From outdoor stackable chairs to reclining dining seats, the Surf range caters to all. Textile Sling moves with you as you lay out in the sun or dine with friends or family. Do you want to dine or lounge in the garden? 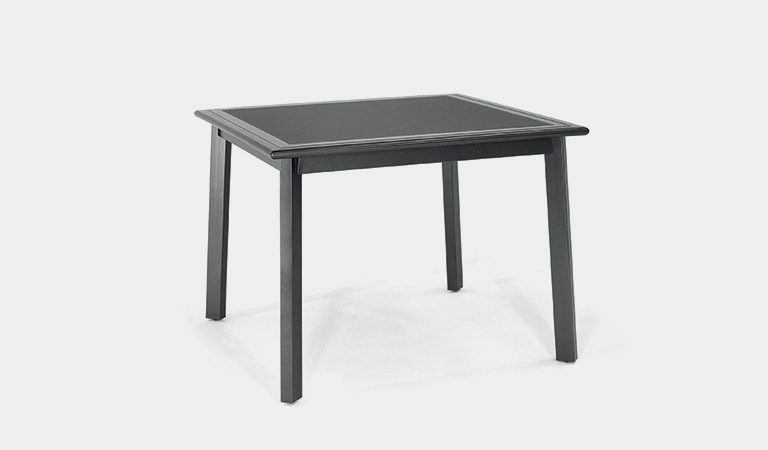 Surf has options for both occasions with tables and adjusting chairs. 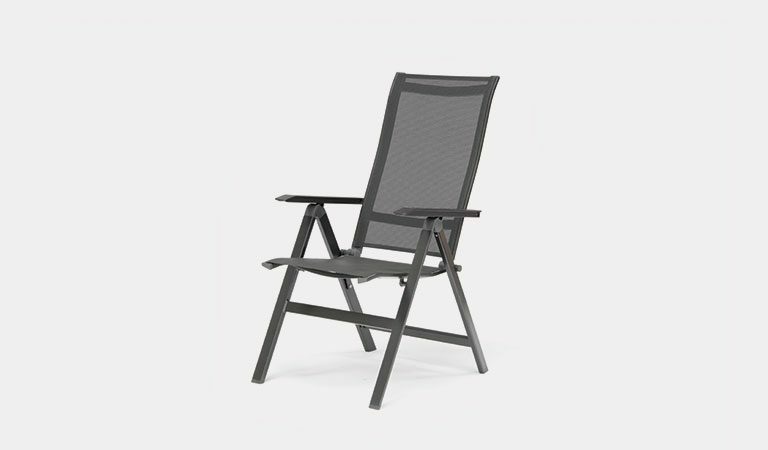 The Stacking Chair and Multi-Position Armchair are ideal for outdoor dining, providing a long lasting, comfy place to sit and eat. 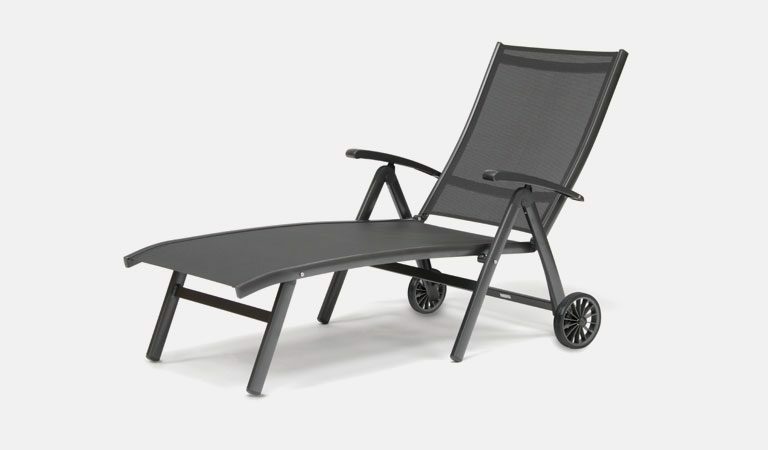 The Surf loungers and relaxers offer additional comfort on a patio area or decking with adjustable chairs made from lightweight materials so you can shift position in the moving sun with ease. 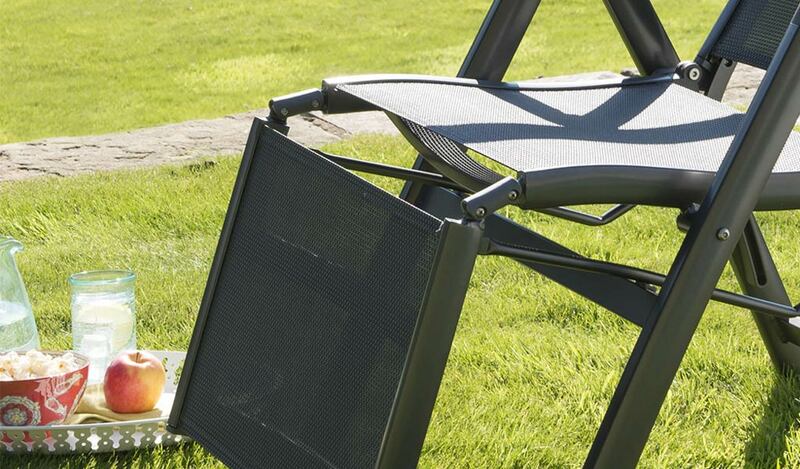 No cushions needed; the bouncy materials take hold and leave you nodding off in the garden. The foldable designs make storing these chairs easy while their versatile designs make them easy to mix and match. 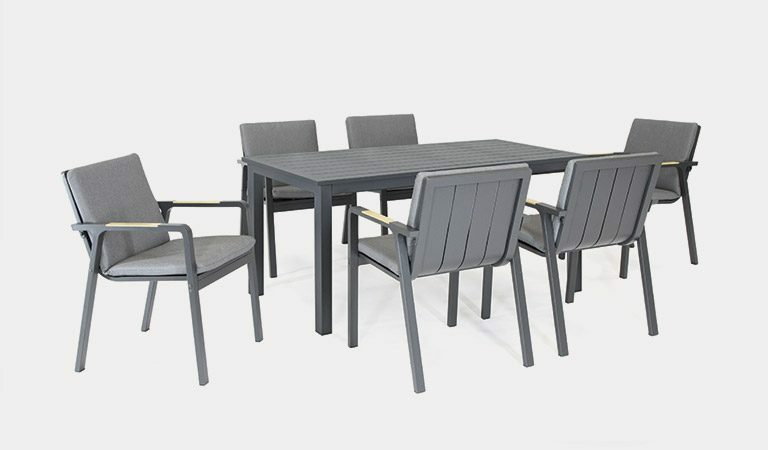 A Classic range for traditional gardens, the iron grey furniture is ideal for sun bathers to alfresco diners. Mix and match the range of tables and chairs. Textile Sling is a high quality fibre which shapes to the contours of your body and is therefore very comfortable. No cushions are required. 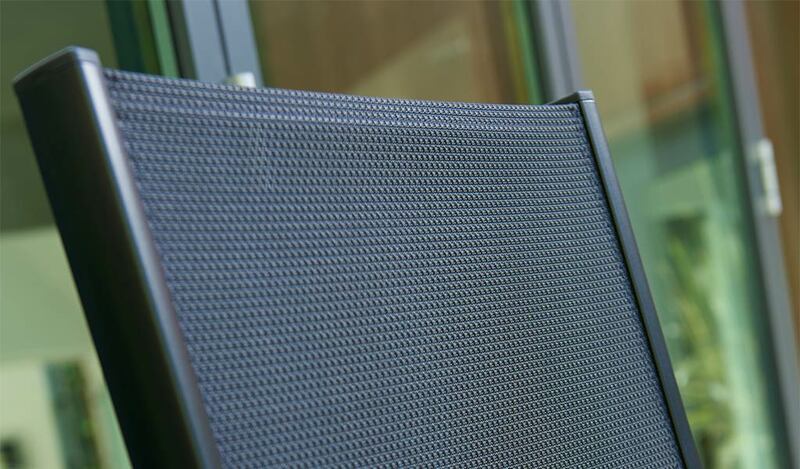 The frames are maintenance free aluminium; the Textile Sling is permeable and UV resistant.